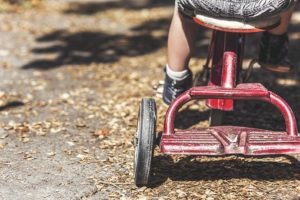 Child apprehension is a painful and complex issue – an issue that becomes even more challenging with an understanding of those groups who are overrepresented in foster care. Without a doubt, the most affected group in this regard is Indigenous children. Consider this, in 2016, 48% of all children in foster care across the country were Indigenous – however, Indigenous youth in Canada made up just 7% of the youth population. When referring to Indigenous children it encompasses Metis, Inuit and First Nations children. The CBC’s recent article illustrates a concerning reality behind these numbers using the example of Northern Newfoundland and Labrador. As is common in other provinces, Indigenous children are frequently taken from their homes and relocated to communities such as Roddickton, Hopedale and Happy Valley-Goose Bay, remote and poor economic communities which are primarily occupied by older, non-Indigenous populations. Foster care is a service set up by provincial governments to create a temporary way to respond to an emergency and address the immediate needs of children and youth in crisis. The government provides assistance for children by placing them into a family’s home where they can be cared for. This system was created as a stop-gap, temporary solution which assumes children can return to their parents after crises are resolved. However, the modern foster care system is being used as a long-term solution to fix the gaps in child care without a goal to have children returned to their homes and sustain relationships with their family. Children need immediate care, and within the current system, addressing these needs results in children being uprooted and sent to live in homes hundreds of kilometers away from their families. The high incidence of Indigenous children in foster care is intrinsically tied to systemic issues plaguing Indigenous communities that cannot be fixed overnight. But why are so many Indigenous children in particular being taken away from their homes, their parents, and their community? A report released in 2015 stated that given the worsening economic situation of Canada’s Indigenous people they are, “not on track to achieving parity with non-Indigenous Canadians.” This report demonstrates unemployment rates continue to plague communities since data collected in 2011, the percentage of First Nations adults unemployed on reserve is 25.2 per cent. Compared to the national average unemployment rate at 6.8 per cent. According to Health Canada, as of December 31, 2016, there were 96 long-term drinking water advisories (DWAs) and 31 short-term DWAs in 80 Indigneous communities across Canada, this excludes data on British Columbia. Overcrowded housing is a problem experienced in First Nations communities across the country. In Manitoba, it is common to see 16-18 people living in a bungalow. First Nations communities in Alberta follow a similar trend. Homes are not properly built and cannot withstand harsh winter conditions, thereby becoming filled with mold or otherwise uninhabitable. The overall living conditions, state of housing, and access to recourses on reserves is grossly inadequate in comparison to Canada’s resources as a wealthy nation. With a lack of social and economic assistance being provided to Indigenous communities it is unreasonable to expect families to raise their children in conditions that meet adequacy standards. The provincial and federal government must take ownership in the reoccurring violations of human rights experienced by Indigenous people. They must address the inadequacy of living conditions and take preventative measures to prevent the reoccurrence of foster care placement. Indigenous children are over-represented in foster care systems across the country. The facts do not lie. Currently, Indigenous children and their families are experiencing fundamental violations of economic and social rights. There is a lack of opportunity, development, and growth in northern communities. It’s long past time for Canada to decide, are we going to continue down a historical path of short-term solutions that do not address intergenerational trauma, cultural variance and systemic causes of poverty or are we going to work towards measurable outcomes, recognizing that all people in Canada maintain the right to an equal standard of living? Children have the inherent right to be raised in a safe and nurturing environment within their culture and community, it’s time they receive what they have a right to. Claudia Langevin is a Placement Student at CWP in the Carleton Bachelor of Social Work program.